I almost forgot to post this. When I say that I’m too busy with work to post on Game Influence, that means that I’m either lying or that means that I’m carving. 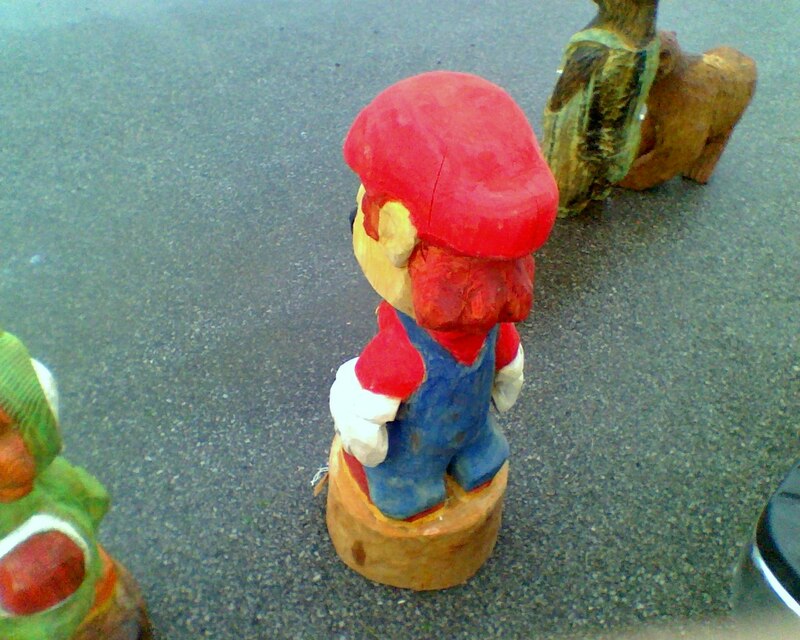 I made a Yoshi and a Mario. 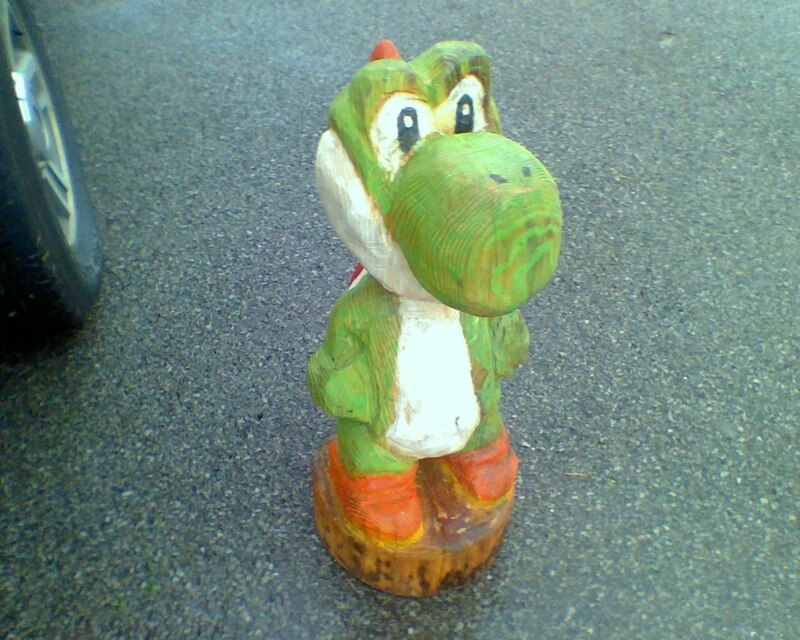 I carved the Yoshi before the Mario. The carvings are stained, not painted. So you can see the grain and the color wont chip off like it would if it was covered with paint. 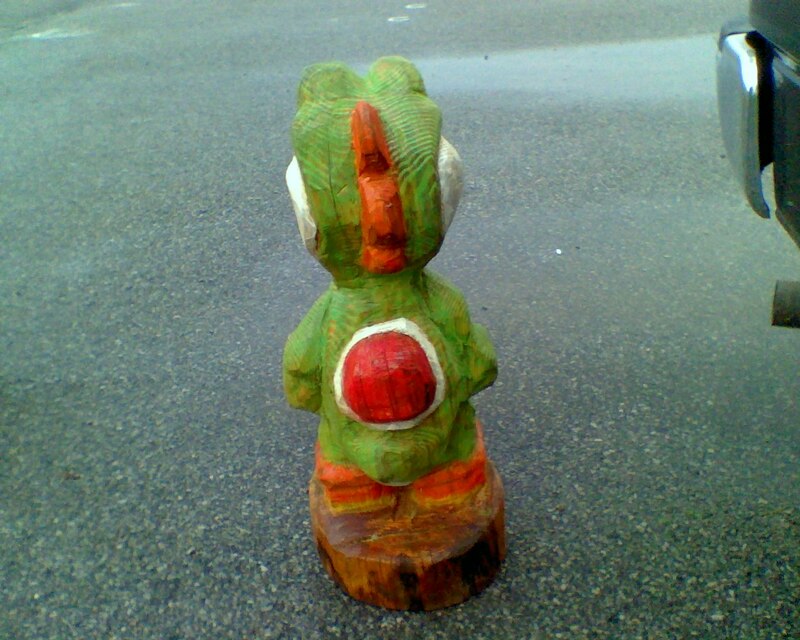 I finish carving each character within 5-6 hours, and the staining process took about an hour each. 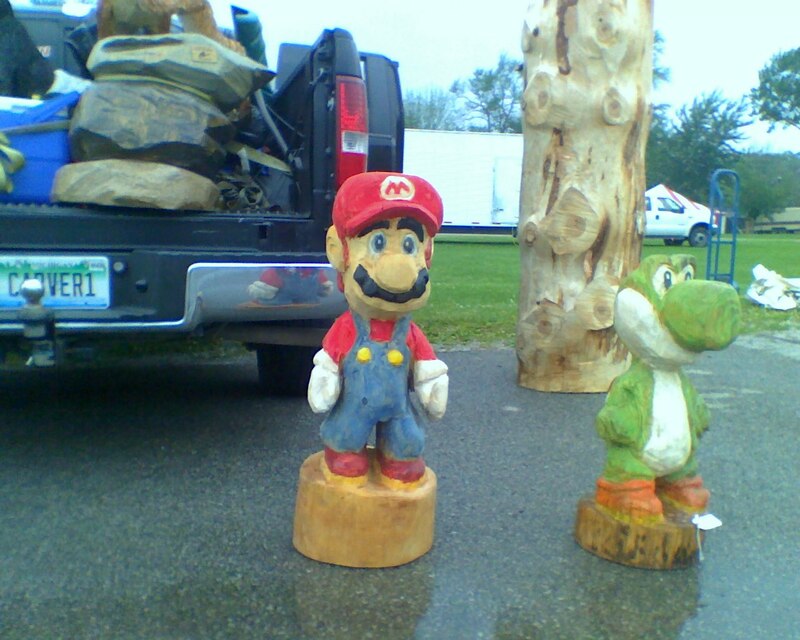 I’ve only put two coats of sealer (Spar Urethane made by Minwax) on the two carvings. I would put another coat on it before I sell them; ask me, by the way, if your interested in buying one of them. 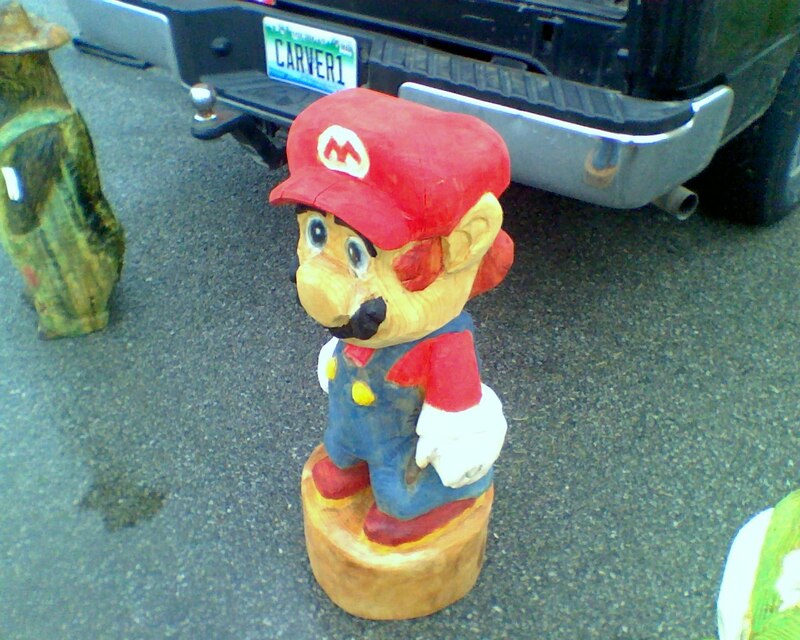 I’m might make a huge Mario carving, but outside of that, I don’t have any ideas on what video game charicters I should carve next. 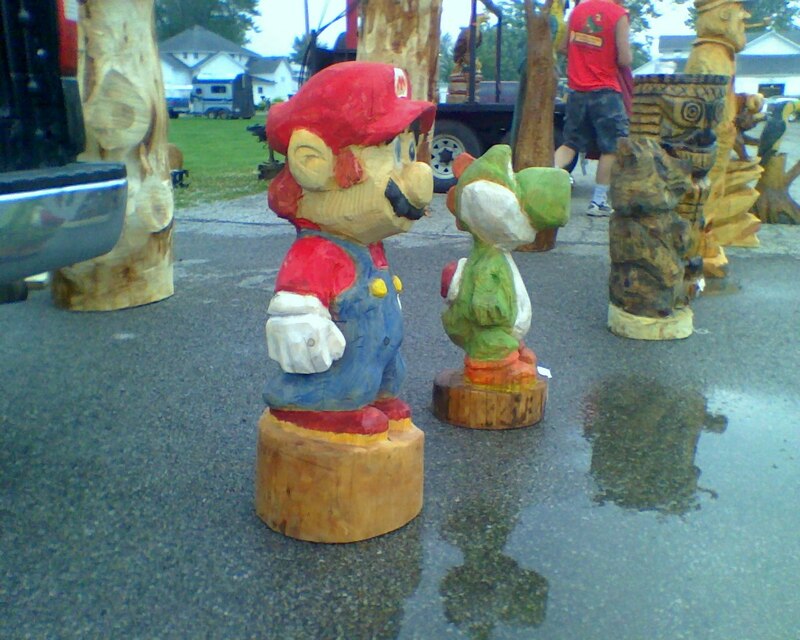 What character do you think should be my next video game carving? Edit: Call 1 (586) 212-2999 if your interested. 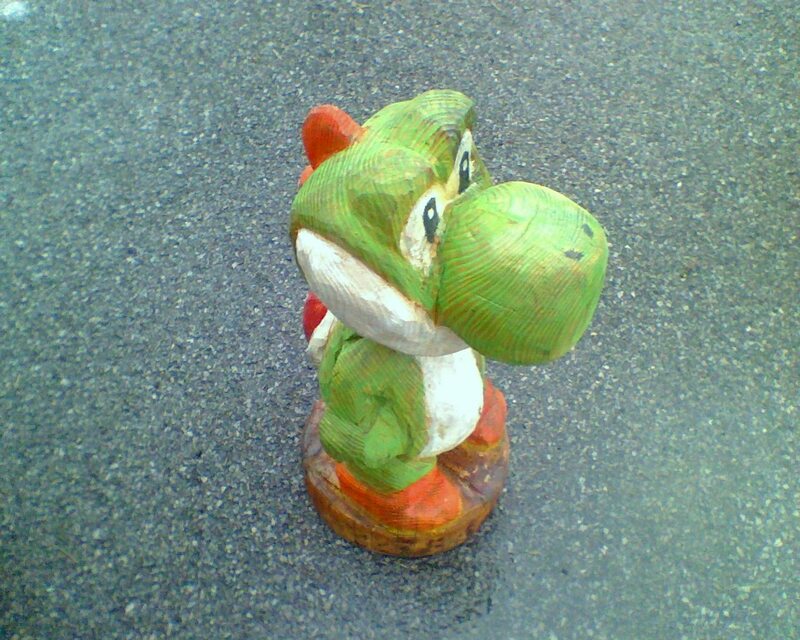 This entry was posted on Saturday, July 19th, 2008 at 11:01 pm and is filed under Nintendo. You can follow any responses to this entry through the RSS 2.0 feed. You can leave a response, or trackback from your own site. An added important issue is that if you are an elderly person, travel insurance intended for pensioners is something you should make sure you really take into account. The elderly you are, the more at risk you’re for getting something undesirable happen to you while in foreign countries. If you are not really covered by quite a few comprehensive insurance policy, you could have several serious problems. Thanks for discussing your good tips on this blog site. Rattling fantastic information can be found on weblog . “The fundamental defect of fathers is that they want their children to be a credit to them.” by Bertrand Russell. I’m impressed, I must say. Really rarely do I encounter a weblog that’s both educative and entertaining, and let me let you know, you might have hit the nail on the head. Your concept is excellent; the difficulty is one thing that not enough people are speaking intelligently about. I’m very completely satisfied that I stumbled throughout this in my seek for one thing regarding this. Precisely what I was looking for, thankyou for posting . “Pardon one offense, and you encourage the commission of many.” by Publilius Syrus. I really wanted to compose a simple note to be able to say thanks to you for some of the great techniques you are giving at this site. My extensive internet research has finally been honored with reasonable ideas to write about with my partners. I would assume that many of us website visitors are very fortunate to live in a good website with so many awesome individuals with helpful basics. I feel somewhat blessed to have come across your entire website and look forward to many more fabulous times reading here. Thanks once more for everything. the Playa Cabo de lasHuertas. No corte con cuchillo, trozarla con las manos.